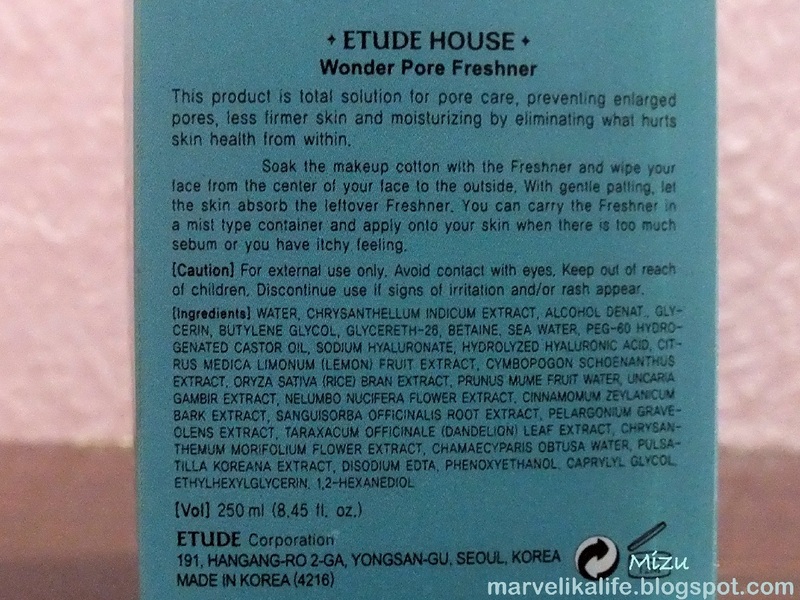 Etude House's new Wonder Pore Freshner (yes it is actually spelled wrongly, as in "Freshner" not "Freshener" (which would be the correct spelling) - don't ask me why! 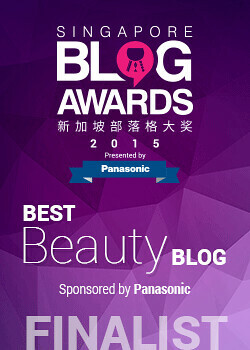 ), billed as an "Ultra Pore Solution" with "10-in-1 benefits" already seems to be getting a lot of interest from people. 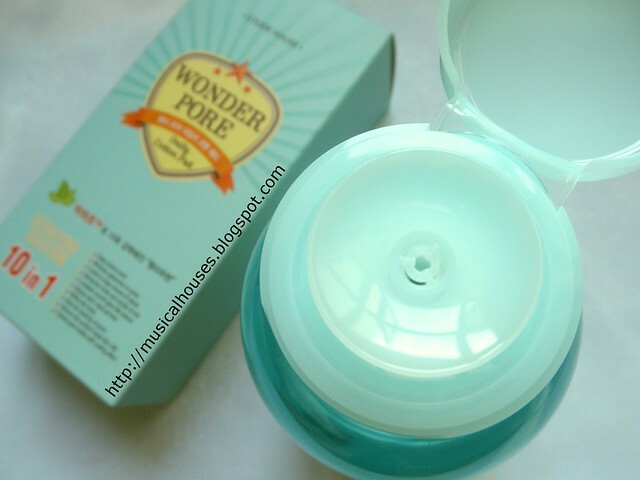 Etude House claims the new Wonder Pore Freshner is an improvement over Etude House's existing Wonder Pore Product (also called Wonder Pore Freshner, but with a mere 7 in 1 benefits instead of 10), and the moment I posted about this on my Instagram and Facebook, I immediately got comments on both sites asking me how it was, and how did it compare to the original Wonder Pore Freshner. 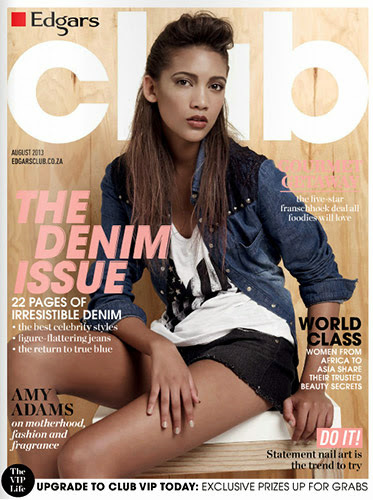 So I suppose there's no better time for a review than now! 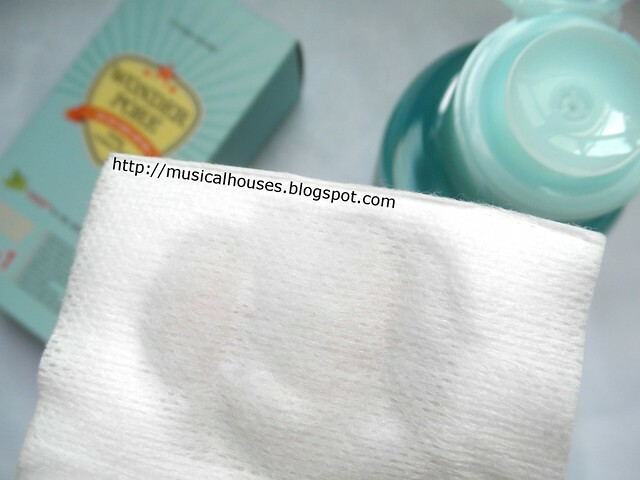 Etude House's Wonder Pore Freshner (gosh I just want to type "Freshener" sooo badly throughout this review!) comes with pretty high expectations which the product sets for itself. The blurb on the back of the product claims that it is a "total solution product", and there's another line that says, "I'm the Wonder Woman for Your Pores, More Powerful!" (again, this is me quoting verbatim from the product - I'm assuming something got lost in translation, but you get the point). 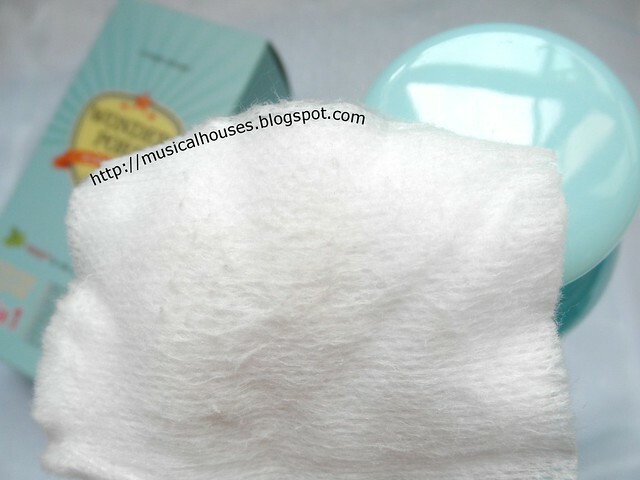 You're supposed to use this much like a toner - after cleansing, but before other skincare products, you apply this to a cotton pad (Etude House also sells this in sets with a special type of cotton pad that has holes on the surface to better exfoliate the skin), and you do this twice a day, and it's supposed to help your pores. Sounds like a lot for one product, right? I guess if it even does half of what it says it will, it would be quite an interesting product. But let's take a deeper look at the product itself, and see if it lives up to the hype! From the ingredients list above, you can see that it's a pretty similar, formulation-wise, to an alcohol-containing toner, with plant extracts. The top few ingredients (which constitute the bulk of the product) are water, Chrysanthellum Indicum Extract (which may have anti-oxidant effects), Alcohol Denat., Glycerin (a humectant), Butylene Glycol (another humectant), Glycereth-26 (humectant), Betaine (or Cocamidopropyl Betaine, a gentle surfactant). Then there are various plant extracts, some of which are fragrant extracts, but some which could potentially have some skincare benefit - mainly humectant, or anti-oxidant. So, with the ingredients list in mind, you can see why the product is such a love-or-hate type of product. First, there is alcohol. Now I know that some people dislike any form of alcohol in their skincare, and some people have concerns about alcohol drying out the skin. It's certainly true that alcohol can dry out the skin and impact the skin's barrier function, but my view on alcohol has been mentioned before in this post, but in general, my view is that if 1) it isn't in high concentrations in the product, and if 2) it has a purpose, e.g. it helps to thin out an otherwise thick/oily product, then it's probably alright if 3) you have oily skin. I'd say my view on this is fairly balanced - I don't disregard the harm that alcohol can cause, but unlike some other sites, like Paula's Choice, which hold that alcohol is always bad regardless of concentration or formulation, I feel that there could be a role for alcohol in skincare. In this case however, this is a thin, watery toner-like product with alcohol as the third ingredient - so for me, it's definitely too much alcohol to register as fine to use. I'd definitely be concerned about the alcohol content in this, and I'd probably only recommend it for people with oily skins. 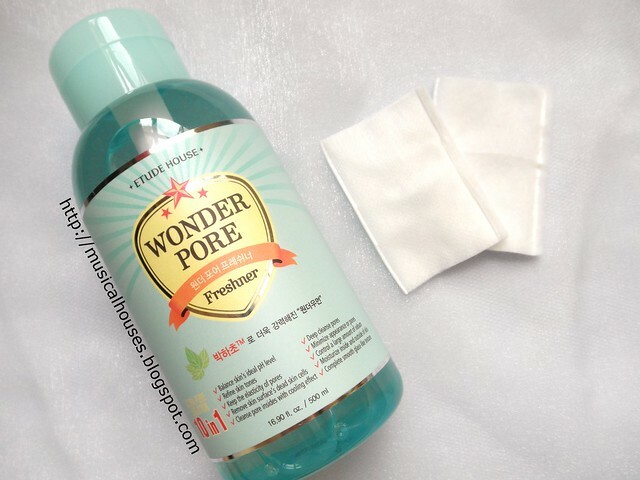 So I can see why the original Wonder Pore Freshner was so polarizing - some will love it, and some won't. Again, you can see that the changes are fairly minor - the product still has water, Alcohol (this time as the second ingredient), Butylene Glycol and Betaine, which were all present in the old formulation (Glycereth-26 and Glycerin are still in there, but much further down the ingredients list). And this time the change is in the choice of main plant extract - in the old formulation it was Chrysanthellum Indicum Extract, but in the new one it is Mentha Arvensis Extract - or peppermint extract. Mentha Arvensis Extract is often used in skincare products or lipbalms to give that tingly, minty, refreshing feel, but here, I'm not too sure what it's supposed to do, in terms of skincare benefits. When I did a quick search in Pubmed, my BFF for all my skincare science research, I couldn't find anything at all (you can verify this for yourself by searching for the keywords "Mentha Arvensis Extract" and "topical" or something), so I'd hesistate to put any skincare benefits to this, although other non-topical studies done with Mentha Arvensis Extract (meaning that it was ingested or otherwise pug into the body, rather than on the skin) indicate that there could be some anti-oxidant effect. So maybe that's its benefit. And like the original Wonder Pore Freshner, the plant extracts are a mixed bag. Some don't have much data on them when it comes to topical use ( Saccharum Officinarum Extract), some may have some beneficial effect (Vaccinium Myrtillus Fruit/Leaf Extract, which could also have anti-oxidant effects), some are more commonly used as fragrance (Citrus Medica Limonum Extract). So I suppose it would probably vary from one person to another whether they like the particular combination of plant extracts here. So, to answer the question - how does the new formula of the Wonder Pore Freshner compare to the old one? I'd say that it's pretty similar, except that there are some changes in the concentrations of the ingredients, and a change in some of the plant extracts used. But overall, I'd say that if you liked the old version, chances are, you'd also like the new version, and vice versa. On the other hand, if you didn't like the old version, then nothing about the new version is going to convince you. And, as with other alcohol-containing skincare products I'd say that this is probably something oily skins would like better than dry skins. And next, another question I got on my Instagram and Facebook posts - does this actually work? Well, I'd say it depends on what you mean by "work". If you're expecting it to do wonders and totally remove your pores, then I'm afraid that it isn't going to do that. After all, pores and blackheads are pretty complex little things, and my view is that it's not really possible for there to be one single "wonder product" that does it all for your pores. 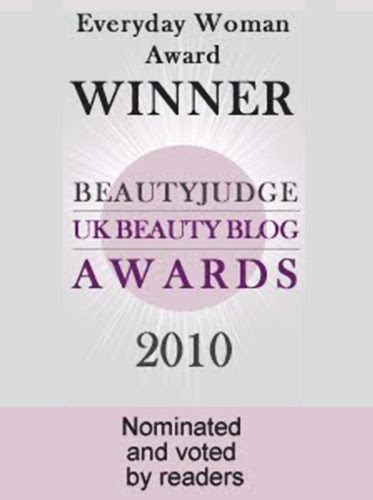 And I'm also glad to note that all three of my favourite science-based blogs, Paula's Choice, The Beauty Brains, and Futurederm, all agree that as far as pores go, it's hard to pinpoint a one-product-only solution - generally they all agree that removing skin debris, controlling or removing excess oil from the skin, and use of products containing retinol (which of course, helps with increasing cell turnover, which over the long run can make skin look better overall) or salicylic acid (which helps to kill bacteria in the pores and remove skin debris), will all help. The Etude House Wonder Pore Freshner does help to control and remove excess oil, because the alcohol in the product will do that job, but you can probably supplement your pore-busting regime with a couple of other products. That said, the Wonder Pore Freshner is pretty good at removing oil from the skin. And it does give a nice tingly feel (thanks to the Peppermint extract I suppose). You can compare the "before" and "after" photos - you can actually see the oil and dirt. So as a toner to remove excess dirt and oil, it does a good job. When I used it, I found that it didn't leave behind any residue on my skin (which makes sense, since it's mostly water and alcohol), and it also had a nice refreshing feel on skin. While I think that I, with my starting-to-age, starting-to-dry-out-slowly-in-airconditioned-areas skin, may be a bit too old for a product like this, I think that if I were in my teens, when my skin was thicker and oilier (much, much oilier! ), I would probably have liked this product. But as of now, I don't think it's really a good fit for my skin, especially given the high alcohol content. It would probably be better on someone with oilier skin, and who can tolerate alcohol in skincare products. So, what's my final verdict on this? I'd say whether you like this would depend on 1) whether your skin is oily or dry, 2) how tolerant you are of alcohol in your skincare products, and 3) whether you like plant extracts in your skincare products. 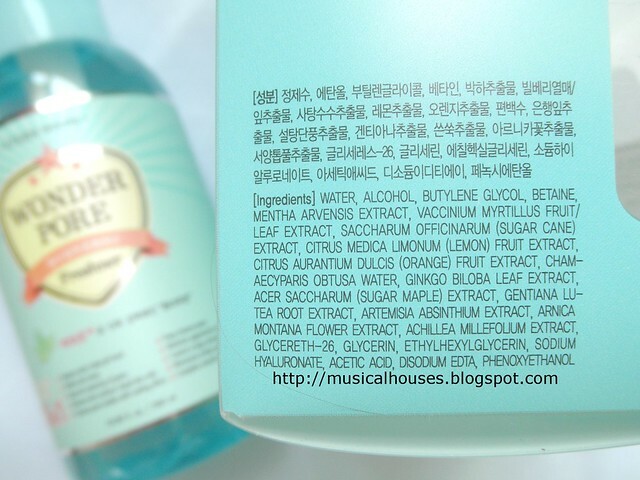 The Etude House Pore Freshner is probably better-placed to serve oily skin, people who don't mind alcohol in their skincare products, and people who like plant-based extracts in their skincare (after all, there are a lot of plant extracts in the Pore Freshner, both in the old and new formulations). If that's you, then maybe this product might work for you. Even if you're not looking to specifically remove your pores (although I'm sure this is pretty much a universal concern), but you have the above skin type and preferences, this could be a useful toner product for you, too. The Bottom Line: The alcohol content in the product might be of concern to some, but for those with oily skin and tolerant of alcohol, this product might help. Hi I bought this just recently but i'm pregnant is it ok for me to use this? @Erika Sunga: I don't see why not, but it's probably best to check in with your doctor, since I'm not a doctor and can't help answer your question! Any idea on the pH level of this product? I sooo badly want this to work on me because my friends swear by this! Hi, does this suitable for pimple oily skin ? I didn't know about this product at all until i went out to the Lotte Mall here in Korea to find some product for my extremely oily pimple face(whatever) and the first shop i saw was this Etude House and i just ask what product can they recommend for my oily skin and the lady just quickly grab this product (Wonder Pore Freshener) and she said "this good for your face". So I've been using for a week now and I've noticed that my skin gets more oily so i have to wash my face like 4 or 5 times a day. So i don't know if this is a good thing or bad but I'm still hoping for a good result. I just bought the 500 ml 10 in 1 Eonder Pore Freshner. I first encountered the pump dispenser in the big bottle of Clinique's toner. So glad to find it again in this product. 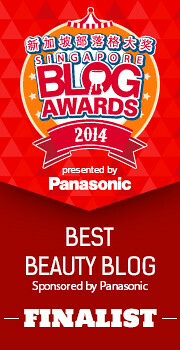 I have combination skin and the old formulation worked for me. I use it with the Clearing Emulsion. My skin is okay with them.